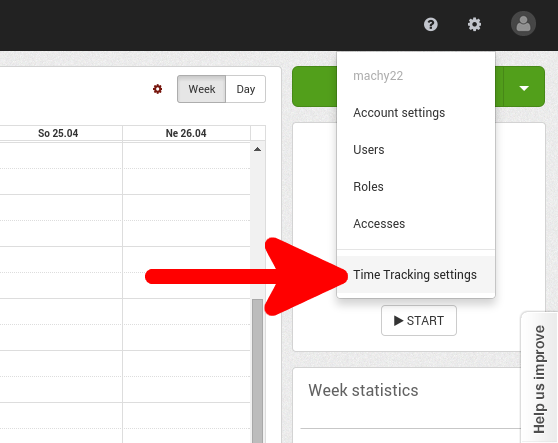 1.1 Click on the settings icon and select "Time Tracking settings". 1.2 Select the "Period Locks" tab. 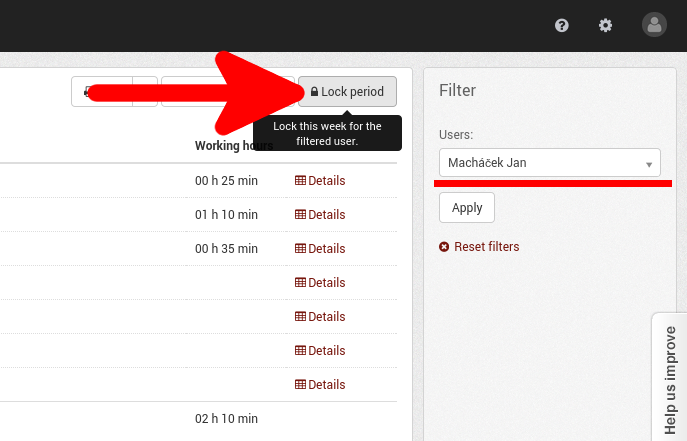 1.4 In the "create new lock" window you can select a date for the lock and may add a small note to it. 1.5 Press the "save" button and the period lock is set. Every time record before the specified date (selected day is included too) cannot be modified or deleted and no new record can be created. The time records affected by a period lock show a warning message in its details. 2.1 Go to the Attendance module. Under the cogwheel icon, select "Attendance settings". The process of setting is up is the same as setting the global lock. See item 1.2. 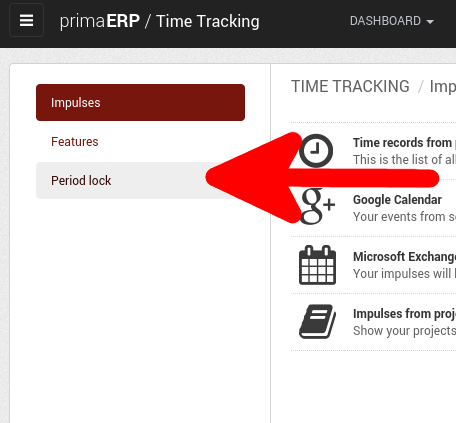 A lock defined in the Attendance module does not influence time records in the Time Tracking module. The only exception are the time records related to the Attendance project. 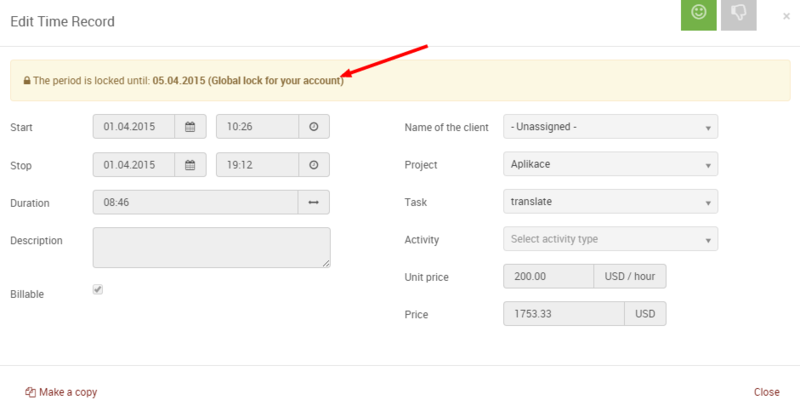 Nevertheless, the global lock from Time Tracking module is applied to the Attendance module too. Keep in mind that it is not recommended to create a lock for the future, because it can cause unexpected behaviour. 3.2 By pressing the "Lock" button, you will lock the time period for the user, which was selected in the filters to the right of the screen. The lock date is set to the end of the shown time period. 3.3. 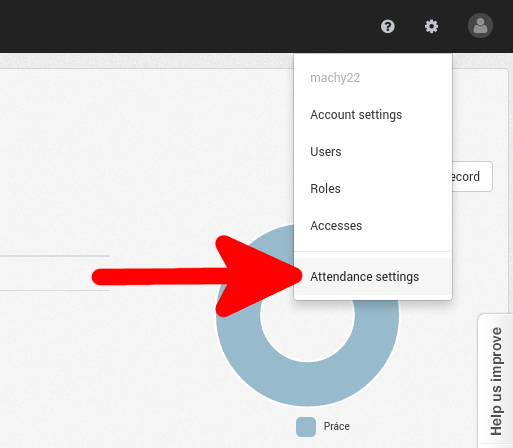 All locks for the Attendance module are shown in the “Period lock” section of the Attendance module’s settings.